While a man will most commonly only have to shave his face, many women shave their legs, underarms and also private areas to stay well-groomed. Excessive hair growth in these areas is inconvenient for some women and can cause body odor. There are a few tips that you should keep in mind to assure that your skin will be smooth, moisturized and free from irritation after shaving. Go with the grain first when you shave. A good, sharp razor will be able to cut the hairs very close to the root. Then, if you still feel stubble, you can go against the grain to smooth it out. Women's skin is softer, gentler and more sensitive than men's, so you should not use the same shaving cream that men use. Either use a body wash, preferably one that has aloe vera and vitamin E, or a shaving gel that is specially formulated for women. The more blades you have on your razor, the better. You get a closer, cleaner shave when you have three or more blades. The process is also quicker because you do not have to run the razor over the same area of skin multiple times. When you shave your underarms too closely, you cut away a layer of the skin. Then when you put on deodorant while the skin is still raw, the chemicals can enter your bloodstream more easily. You can also get rashes from too close of a shave on your armpits. So, in the winter months when your underarms will not likely be exposed to the world, try not to shave all the way down to the skin. Leave a small amount of peach fuzz. Avoid shaving right before you go outdoors, especially if the shaved skin will be exposed. When you shave, the top-most layer of your skin is removed, leaving your skin more vulnerable to the elements outside (like sun and air pollutants). This is why after you shave the skin may sting. Shave before you go to bed so that your top layer of skin has a chance to grow back before you go outside again. Just as men use aftershave to soothe the skin after shaving, you should be applying moisturizer to your skin after shaving your other body parts. Use pure cocoa or shea butter. 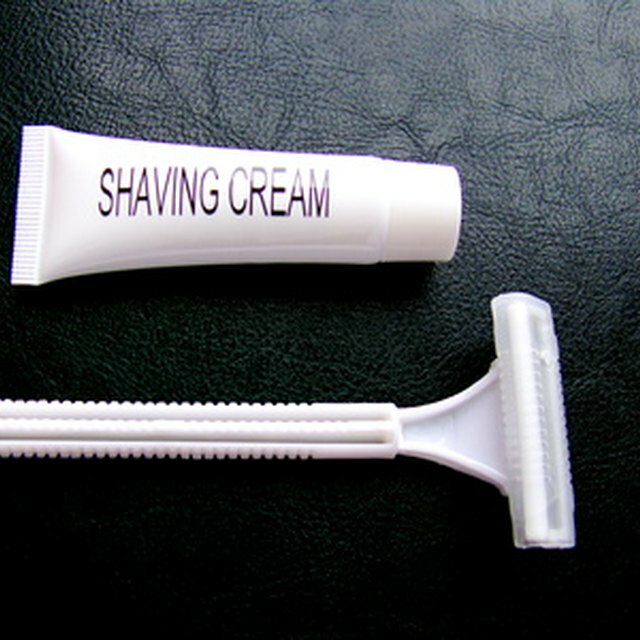 There are also razors that come equipped with built-in moisturizing bars and shaving gel to keep your skin soft during and after the shave (see Resources for an example).